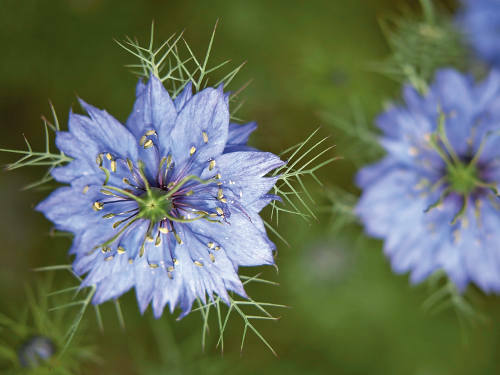 (Love-in-a-mist) Finely divided leaves create a mist effect surrounding the lovely blue flowers. Seeds used in curries and bread, although its close cousin black cumin is better. Seeds stored with clothing repel insects. Valued in perfumery trade.